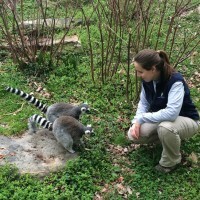 June is National Zoo and Aquarium Month in the United States. 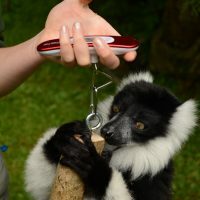 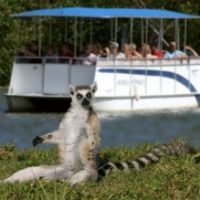 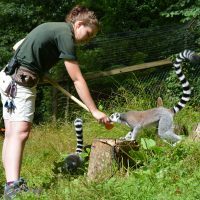 To celebrate, here are some reasons why zoos are vital to lemur conservation, and will play an ever-increasing role in the story of lemur conservation going forward. 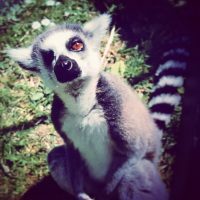 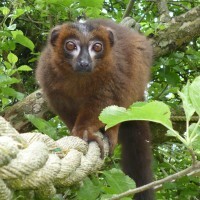 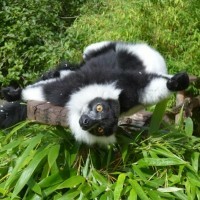 It’s been a while since I wrote about the lemurs of Howletts Wild Animal Park. 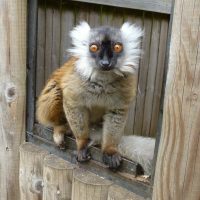 Deserving of my attention however, are three male red-bellied lemurs, Teddy, Hamish and Angus, who share the walk-through with our black and white ruffed and crowned lemurs.